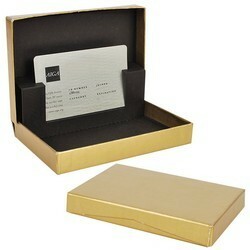 -It is a leather item which is use to keep lipsticks. *This double lipstick case available in many sizes. only for you designer lipstick case holder. With a precise understanding of this field, we are affianced in manufacturing and supplying premium quality Lipstick Case. We are offering this fruit pouch to our valuable customers after checking properly. This Lipstick Case is designed keeping in mind the trends of market using high quality of leather & best techniques. Our range of lipstick case is available in compact designs to fit into any pocket or bag. The lipstick cases are made of highly durable leather so that it holds the lipsticks in a secured manner without causing any damage to it. The mirror is provided for the convenience of the user. These are available in diverse shapes and sizes to suit the specific purpose and requirements of our clients. Offering leather Lipstic Holder with mirror inside. Available in varied design, colours. It is most usefull items in journey purpose for all age group ladies .It is portable. 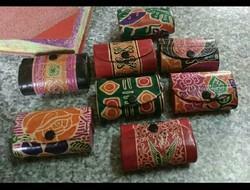 We offer Paper Mache Lipstick Box in different sizes and designs. Paper Mache Lipstick Box is meant for keeping make-up items such as lipsticks, powder boxes, etc. Paper Mache Lipstick Box is available is multiple designs. - High quality materials, very thick, no smell, environmental protection, durable and durable. - Glittering and translucent, comparable to glass, fashionable and beautiful.